The High Court has dismissed an appeal by a one Steven Lubwama, seeking orders to overturn a ruling made by a lower court in regard to a land dispute. In the appeal, he argued that the LC1 and LCII which entertained the dispute earlier did not have jurisdiction to handle the disputes in respect of ownership of the suit Kibanja henceforth requesting for a court order nullifying the decision. But in a ruling made Tuesday by Justice Andrew Bashaija of the High Court, the appeal was dismissed, with the ruling that the LC courts had the jurisdiction to handle the matter. “Under section 10(1) (a) LCCA and 2nd Schedule to the same Act, the LCCs have jurisdiction to handle matters of trespass and in section 10(1) (b) and 3rd Schedule, disputes in respect of land held under customary tenure. Under section 10 (e) (supra) the LCCs have wider jurisdiction to handle matters relating to land generally. I therefore find no merit in grounds 2 and 3 of appeal as well,” Justice Bashaija ruled. He further added that Lubwama had a chance of raising the objection at the lower courts but he did not. “As such, this court (High Court) is not required to re-evaluate the evidence which is essentially the duty of the first appellate court. Even where the trial court has erred, the appellate court will only interfere where the error has occasioned a miscarriage of justice. The 2nd appellate court may only interfere with the decision of the immediate lower appellate court, if that court misapplied or failed to apply the principles of the law or the decision was manifestly erroneous. Lubwama bought a Kibanja from Ms. Painento Kaggwa Serina, a member of the Muganzilwazza Growers Co-Operative Society, on 21/05/1972. The Kibanja had clear boundary marks which had been in existence for 32 years. 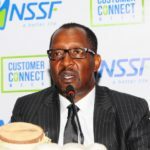 However, disputes later developed over the boundaries between Lubwama and the Muganzilwazza Growers Co-Operative Society, which had sold him the land. Muganzilwazza Growers Co-Operative Society claimed that Lubwama had extended the boundaries and encroached on the Kibanja that belonged to the Respondent. 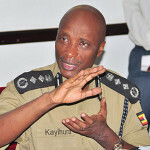 The dispute was referred to the LC1 court of Katooke which decided in favor of Lubwama. Muganzilwazza appealed to the LCII court of the area which also ruled in favour of Lubwama. Muganzilwazza then filed an appeal in the LCIII court of Nabweru and still lost. 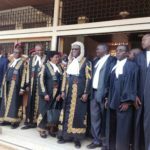 It then filed an appeal in the Chief Magistrate’s Court of Nabweru, with then Chief Magistrate Joy K. Bahinguza ruling in the Coop society’s favour. The trial court then ordered Lubwama to immediately remove any structures that he had constructed on the disputed land, and each party was to meet their own costs. That the learned trial magistrate erred in law and fact when she held that the Muganzilwazza is a legally existing co-operative society whereas not. That trial magistrate erred in law and fact when she entertained and upheld proceedings from the L.C Courts which had handled the subject matter without jurisdiction to do so. That the trial magistrate erred in law and fact when she relied on the L.C 1 and L.C II judgments which had been passed by the said courts when did not have jurisdiction. At the hearing of this appeal, Lubwama was represented by Kenneth Kajeke while the Muganzilwazza was represented by Counsel Twinamatsiko.